Home > Accessories > Stands & Accessories > DJ Equipment Stands > LiteConsole GO! 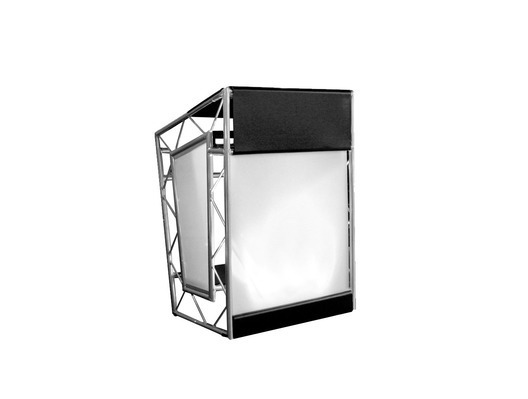 If you need a compact DJ booth that can be packed or stored away easily then look no further than the LiteConsole GO! ; a little sibling to the LiteConsole XPRS that has all of its functionality and sleek design but is more suitable for smaller venues and stages. Don't be fooled by its smaller size though, the stylish LiteConsole GO! has three shelve's worth of space for DJ equipment, laptops and other items, with the added feature of cable pockets for hiding lengthy and annoying wires. The LiteConsole GO! 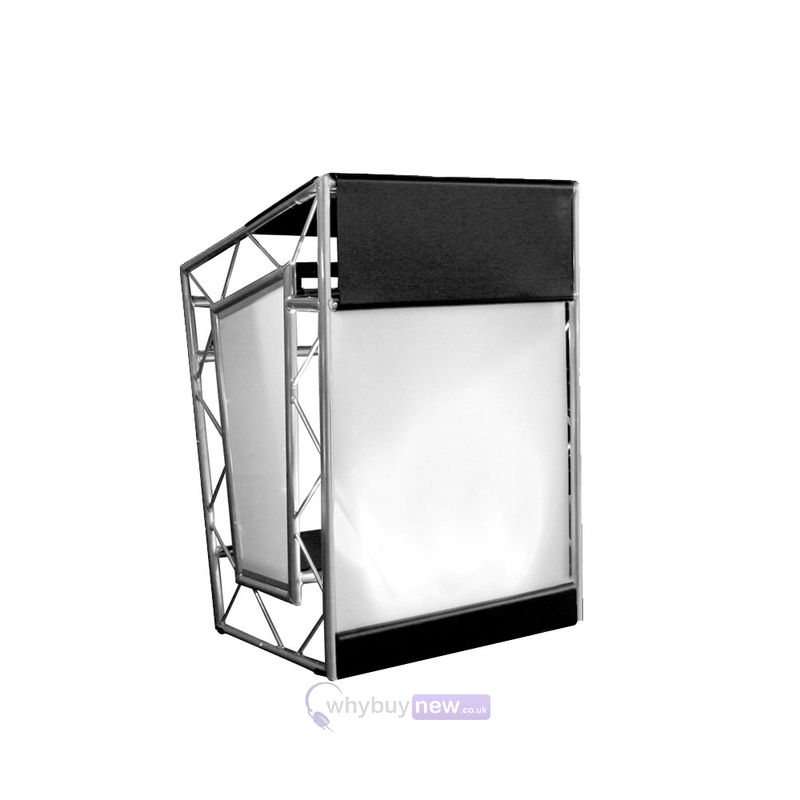 Aluminium Booth features an innovative design which incorporates perspex side and front panels, along with an aluminium front plate and a folding frame. The LiteConsole GO! is perfect for anyone wanting the same stylish design as the LiteConsole XPRS, but have a smaller set up to perform with. Despite the compact design, the GO! features three shelves and can be assembled within minutes. Perfect for professional DJs and sound engineers alike, the LiteConsole GO! comes complete with cable pockets for hiding your cables and a canvas bag for transporting and storing the GO!